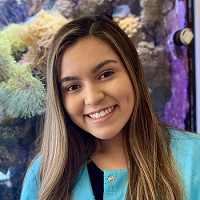 Each member of our pediatric dental team is licensed in Nitrous Oxide Monitoring as well as certified in Basic Life Support (BLS) and First Aid. 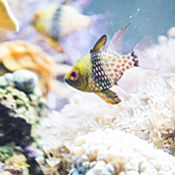 But they’re also trained to be attuned to the unique needs and emotions of our younger patients. We want your family’s experience with us to be an enjoyable one. Let us know how we can help! 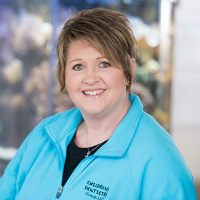 Outside the practice, Clarissa enjoys spending time with her four children, husband and two dogs. She also likes going to the gym and being outdoors..
“I love making the kids comfortable in a place that can be a little intimidating. It is so fulfilling watching children come in who are quiet and timid, and seeing them leave with giant smiles on their faces!” Rachel also finds it highly fulfilling to put parents’ concerns at ease and help them have the best possible experience for their child. 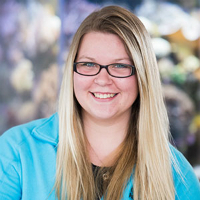 Rachel studied child psychology at McHenry County College for two years. She also is certified by the University of Illinois at Chicago in the following: Coronal Polishing, Pit and Fissure Sealant Placement, and Monitoring Nitrous Oxide. When she’s not at work, Rachel loves spending time with her dog Olaf. She also enjoys sitting down and reading a good book. Giving back is also important to her. 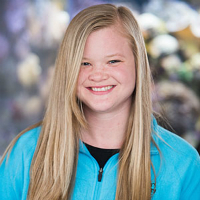 She has volunteered for Big Brothers Big Sisters of McHenry County prior to working here at the practice. After earning her GED, Stephanie continued her education through State Career School. There, she earned a Dental Assistant Certificate. She also completed courses in Coronal Polishing and Nitrous Oxide Monitoring. In her spare time, Stephanie loves spending time with her family, especially her many nieces and nephews. 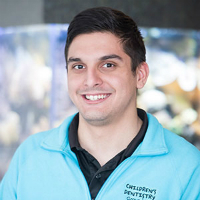 Chuy is passionate about ensuring that kids who come to our practice have a positive visit. 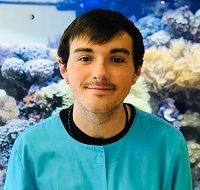 He enjoys learning about pediatric dentistry and sharing healthy oral hygiene habits with his patients. 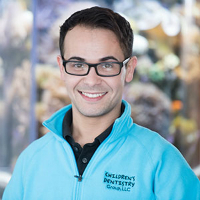 Chuy has taken courses in Coronal Polishing, Pit and Fissure Sealant Placement and Nitrous Oxide Monitoring. He also has completed training provided by the office in the following: HIPAA, OSHA and emergency training. When he’s not working, Chuy enjoys being a stage artist, seamstress, makeup artist and dancer. When she’s not at the practice, Stacey enjoys spending time with Randall, her wonderful and supportive husband. They have two grown daughters Brittney and Brooke. She also has two very precious grandchildren Landon and Reese who bring her much joy and happiness! In addition to enjoying family time and vacationing, Stacey enjoys biking and cheering on the Cubs and Bears. In addition to earning his high school diploma, Toni completed some college courses at Northern Illinois University. He also obtained certifications while working at the practice. Outside the practice, Toni likes to hang out with friends or family. He enjoys playing with his niece and nephew. In addition, he loves dancing, playing video games or just relaxing at home after a day of work. 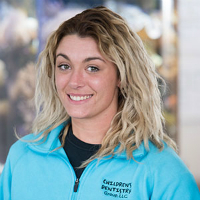 In addition to her associates degree in science, Cora also received Certification in Coronal Polishing and Pit and Fissure Sealant Placement from the University of Illinois at Chicago. She is working toward Certification in Nitrous Oxide Monitoring. When she’s not at work, Cora loves playing with her dogs, being outside, working out and hanging out with her family. Outside of work, Daniel, who is a self-described “nerd,” likes to play video games, read books and play with his dog. 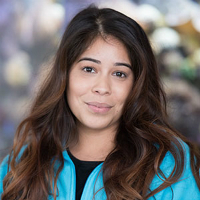 For Flor, the most fulfilling aspect of her job is making our patients feel confident in themselves. She loves telling them how well they did during their appointment so they not only feel good about their checkup but are eager to come back. Outside of work, Flor likes to read books. She also enjoys watching make-up tutorials on YouTube and going to the gym. Our friendly and caring team members look forward to making your child’s dental experience a great one! Get honest, child centered dentistry with our team of professionals. Contact us today to schedule your family’s first visit to our office.